When checking for pushrod diameter you need to first establish the length needed. Then you must turn the engine over manually to check for tight clearance areas by the Cylinder Head, Lifer Bar and other close tolerance areas. We prefer .010 thousands at the Cylinder Head and .020 at the Lifter and Lifter Bar. We prefer you to fit the largest pushrod you can in the area you have to work with. Sometimes small modifications need to be made. 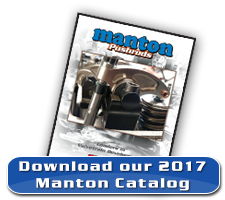 Manton offers different size sleeves that fit over a pushrod tool to help assure proper clearance. The sleeve is used by sliding up and down the length checking tool with 0-rings holding the sleeve in proper position to assure clearance in these areas as needed. Many variables directly affect determing proper pushrod length. 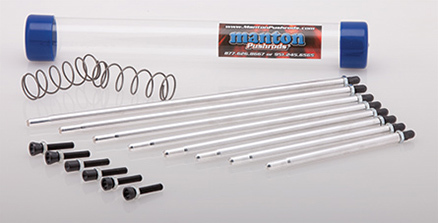 Pushrod length is affected by all of the variables listed below. Remember that every engine is different because the combination of these variables change from one engine to another. Take the time necessary to determine proper pushrod length with each engine you build. Do not assume that your pushrod length is the same as your friends engine. We have given some guidelines in this section to help you determine proper pushrod length for both roller rockerarms and shoe rockerarms. Each type of rockerarm style has different instructions.With shaft mounted rockerarms, raising or lowering the stands to change the rockerarm shaft height is usually necessary to obtain proper rockerarm geometry. 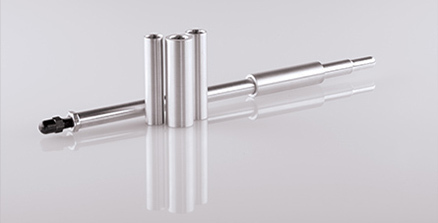 With stud mounted rockerarms, changing the pushrod length achieves the same effect. 2. Light duty checking springs must be used in place of valve springs to allow you to rotate the valve train and check for proper contact pattern on the valve stem. 3. You will need an accurate measuring device to measure your adjustable pushrod once you have locked your adjustable pushrod at the correct length. 4. Ball/Ball designs are to be ordered by overall length measurement. (The standard flat diameter on the ends of the pushrods is .100). 5. Ball/Cup designs are most properly ordered by the effective length. This length is measured from the bottom of the cup radius to the tip of the ball. Overall length can also be given but tell us how deep the cup depth is. 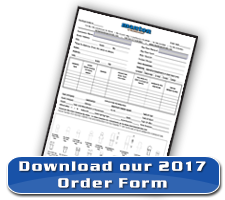 Make sure when ordering ball/cup pushrods that you specify effective or overall length. When using your adjustable pushrod checking tool and checking springs you want the contact spot to start on the intake side of the valve tip with the lifter on the base of the camshaft (position #1). At approximately 1/3 lift the contact spot should be in the center of the valve tip (position #2). 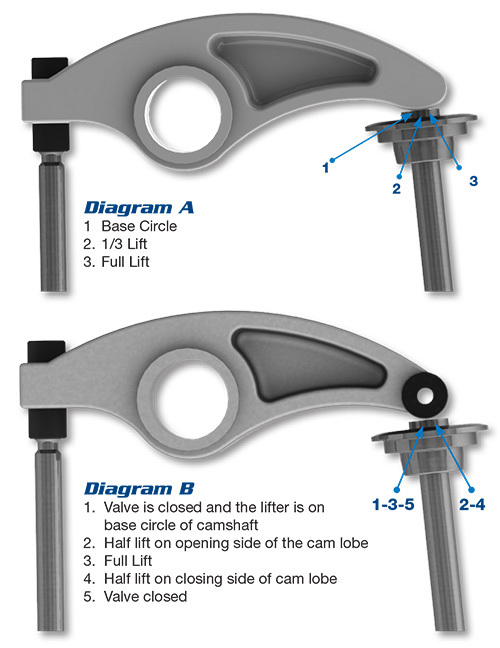 At full lift the contact spot should be the same distance past the center of the valve tip toward the exhaust side as it was when the lifter was on the base of the camshaft (position #3). Fully closed is back to position #1. As in diagram A you should use a checking spring during this procedure. This allows you to rotate the valve train without damaging the checking pushrod and eliminates the unwanted deflection that would occur from spring pressure. To obtain the roller positions listed below you will be re-locating the rocker arm pivot point (rocker shaft). By moving the shaft up or down the roller contact position on the valve will change. With the valve completely closed and the lifter on the base circle of the camshaft, the roller should contact the valve at position #1 as shown in the diagram. As the valve train is rotated to 1/2 lift the roller will have traveled as far as it can and will stop at position #2. Continue to rotate the engine and at full lift the roller contact will be at its starting point. We will call this position #3. If the roller is not in exactly the same position at full lift as it was when the valve was completely closed, the rocker shaft must be moved. If the roller stops early the shaft must be shimmed up. If the roller stops late the shaft must be moved down. As you continue to rotate the valve train the roller will move back to position #4 when the valve is at half lift on the closing side and will finish at position #5 when the valve is completely closed.